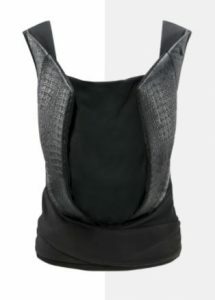 Cybex Yema carrier is a mix between a wrap-style and a soft structured carrier. While it doesn’t have many clasps and buckles, the carrier has a low learning curve, which makes it a great option for both moms and dads. 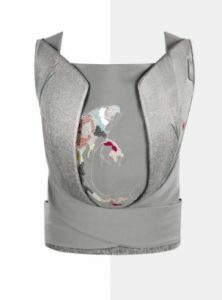 The most distinctive feature of this baby carrier is the prints it comes in. While it has a hefty price tag, the carrier offers a big variety of styles, which are very different from what the parents are used to seeing on the market today. This baby carrier has all the necessary features to make the carrying comfortable for both the baby and the parent. While it lacks some convenient options, such as pockets and toy holders, overall this carrier seems to offer a lot of other convenient advantages. Many parents have found this model to be useful for children from birth up to 24 months. This review can help you make your own well-informed decision about Cybex Yema. The carrier has a low learning curve. Both parents can enjoy wearing the baby without too much adjusting and extra hassle. The carrier comes with a variety of unique prints, which makes it a good choice for parents, who love to be in style. The carrier doesn’t have too many straps and buckles, however, it’s very easy to adjust while wearing the baby. Adjustable seat and headrest improve the baby’s comfort. The shoulder straps can be crisscrossed in the back. The carrier comes with a 24 months limited manufacturer’s warranty. Comes with a convenient storage bag. My husband and I found it very easy to quickly adjust the size back and forth. The remainder of the carrier is attached with a tie, making it more like a traditional wrap carrier. I was easily able to use it the first time without the help of another adult. The carrier can hold children up to 33 lbs. This means that when the baby turns about 24 months, you have to look for another carrier. Cybex Yema is not very compact so it won’t fit into a diaper bag. The carrier has a hefty price tag, which mostly comes due to its very stylish appearance. The carrier doesn’t have pockets, toy loops, and some other features soft structured carriers usually have. All Cybex Yema collections feature decorative wings that make the carriers look unique and fashionable regardless of the colors and prints. Fashion collections are about $60-$100 more expensive than the basic collection. The carrier comes with a sleeping hood, which can be a great help during breastfeeding or serve as sun protection. The carrier is made out of 100 % polyurethane. The padded waist belt is 100 % cotton. The material is highly durable. However, it’s breathable enough to allow comfortable wearing in warm weather. This carrier is not a great choice for extreme heat since the there are no flaps or mesh lining, while the decorative wings make it somewhat warmer. This material is great for cool weather while the wings offer extra warmth. Front carry (face in) – This position is suitable for children from birth. Cybex Yema offers convenient breastfeeding while the baby is sitting in an ergonomic position. This position allows the hip joints to be safe and develop properly. Hip Carry – This position becomes available when the babies get good at holding their heads. This usually happens when they turn 3 months. The position allows them to enjoy closeness to the parent while taking in the view of the world. Back Carry – When babies have good control of their upper bodies, the parents can carry them in the back position. This usually happens at around 6 months. This position takes some strain off the parents’ backs and give them more control. To learn more about the carry positions feel free to download cybex-yema-baby-carrier-instruction-manual. Thanks to the adjustable seat and headrest, the carrier can be suitable for smallest babies and larger toddlers. The baby seats in an ergonomic position, with the legs forming an M. This makes the carrier a great choice for long trips. Since the carrier is fairly easy to put on and take off, most of the fussing can be avoided. Babies start enjoying the closeness Cybex Yema offers as soon as the parent straps the carrier on. 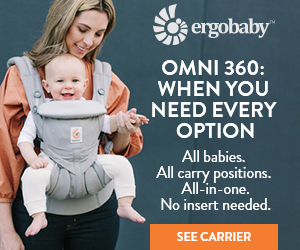 The carrier offers simple breastfeeding. The decorative wings serve as extra privacy features during the breastfeeding process. The can also keep some light out when the baby is sleeping. I like how it combines the support of a structured carrier with the coziness of a wrap. Both waistband and straps are highly adjustable. They make this carrier a good choice for couples who differ in size and height. The adjustable panel is hidden inside the waist belt. Even though this is a wrap-style carrier, it has a low learning curve. The elements of SSC and a wrap make it a very versatile carrier and a great choice both for moms and dads. The parents can choose whether to cross the shoulder straps in the back or wear them in a parallel fashion. Many parents prefer crisscrossing the straps for a better hold. Meanwhile, larger parents enjoy the parallel option. Thankfully, Cybex Yema offers this choice. A padded waist belt offers comfortable wearing and improved weight distributing. Since this carrier is not designed for babies over 33 lbs, parents don’t have to deal with heavy weights. I really do love this carrier and it certainly ticks all of the boxes for ease of use, design and comfort for your little one. For long periods of wear I think the Yema is quite structured and personally I would maybe look to switch between this and a wrap or sling but overall it’s a big thumbs up. This carrier can be spot cleaned and machine-washed. The carrier should also be air dried in order to avoid shrinking. The carrier has two long tails that can fall to the ground when you are putting the baby on. These tails need frequent cleaning. If you want to avoid color fading, especially if you have a special collection item, consider learning how to fold the tails in order to avoid them dragging on the ground. Otherwise, frequent washing will be hard to avoid. Since this is a wrap and SSC mix, the variety of uses for Cybex Yema are endless. The three carrying positions make it a versatile option for any lifestyle. Be it the house chores or a hiking trip, you can easily carry your baby without getting tired. Since this is a high-end carrier, most parents prefer wearing it at home, to the mall or on sightseeing trips. The beautiful designs from the fashion collection call for some bragging rights. That’s why owners of the fashion collection items enjoy walking down the street and catching amazed glances. While the carrier is beautiful, it’s very durable and offers a great weight distribution. So if you are planning a long hiking or camping trip, it can do a great job helping you carry the baby. Cybex is a well-respected company that produces accessories for children. Its car seats and strollers are famous all over the world for their style and integrity. 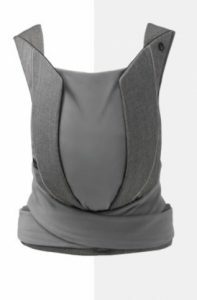 Cybex Yema is a wrap styled baby carrier mixed with a soft structured carrier. While it holds form and is very easy to use, it doesn’t have a big number of buckles and clips. 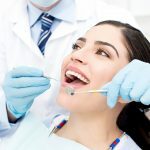 This allows the carrier to have a low learning curve. Many parents manage to put it on without video instructions. The carrier is made out of durable materials, which are easy to wash and spot clean. 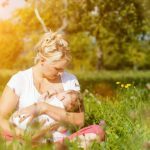 This makes it a wonderful choice for parents, who like carrying their babies everywhere, including camping trips. 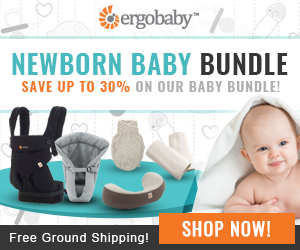 The carrier offers three carrying positions, making it suitable for infants and toddlers. However, it can handle children under 33 lbs. Which means that after your kids turns about 2 years old, you have to look for another carrier. The carrier’s built is truly commendable. The wide padded belt is not just comfortable for parents of different sizes, it has a special insert to help you choose the right parameters depending on the size of your baby. The long shoulder straps can be worn in a crisscrossed or a parallel way. This is a high-end carrier and the price doesn’t just come from the brand name. The manufacturer offers three different fashion collections. Besides original prints and designs, the carrier has a special defining feature. Decorative wings don’t just look special, they can serve several functions. One of them is keeping the baby warmer on a cool day. Overall, this is a high-quality baby carrier suitable for babies under 33 lbs. It’s beautiful, ergonomic, and easy to handle.